Things are changing fast! We're hurtling toward eternity at breakneck speed. 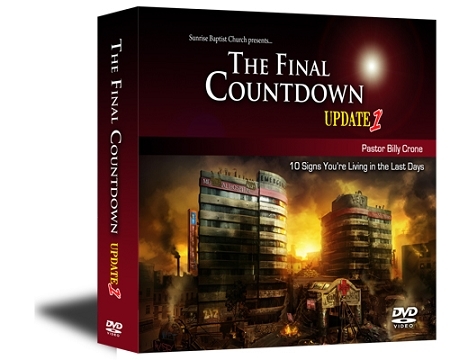 Pastor Billy Crone brings us this first update to the popular Final Countdown series. This was my first purchase from Pastor Billy and I was very happy with this purchase. His energy and love for the Lord really shows with these DVD's. He touched on up to date news and how it pertains to end times prophecies. This is a must have!